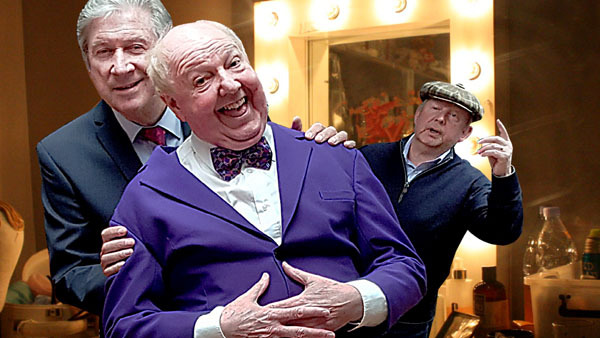 Jimmy Cricket in "No More Fiffin And Faffen"
A play written by and starring Jimmy Cricket. Well you’ll have to be quick. They’ve decided to call it a day and they’re using the last night of their end of Pier Summer Show in Clusters-on-Sea to do their farewell show after 36 years in Showbusiness. We see Joe and Jerry strut their stuff on stage, then follow them to the Dressing Room where they settle old scores! Luckily Stage Manager Archie Gibbons is on hand to sort things out, enabling the boys to perform all their best routines for their loyal fans at their Swan Song Show! It will be an emotional and fun packed night!